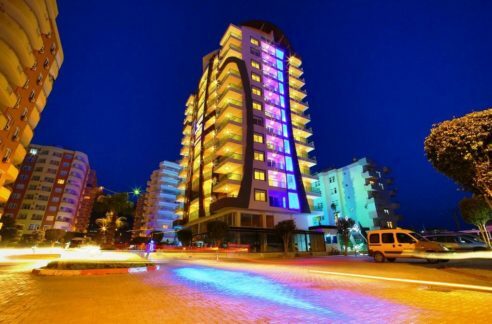 The Property consist of a 2 Blok Residence from the Year 2004 in TOSMUR location of Alanya. 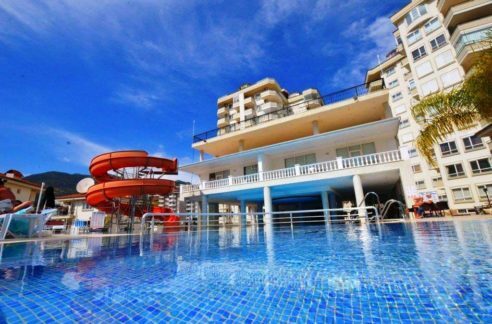 There is Pool and garden area which is getting caretaking 7/24 for a fee monthly 35 Euro’s. In a surcle of 60 meters you have everythingh you needs evin the beach is staying 50 meters away. There is an underpass way dirctly to the sandybeach. This Property gives you the nearly location also to the fameous Dim River where you can follow nice walkings and fishing sometimes. There are arround the Apartment Restaurants, Caffeteria, butcher, patisseria which cames fresh bread every morning, supermarkets, pharmacy.. The property is on the 2. floor and has a livingspace of 115 sqm with a seperate kitchen, a livingroom, 2 bedrooms, a bath, guest-wc and balconies. The fine property is offered fully furnished included the salesprice. Please contact for further details or an appointment for a propertyvisit.